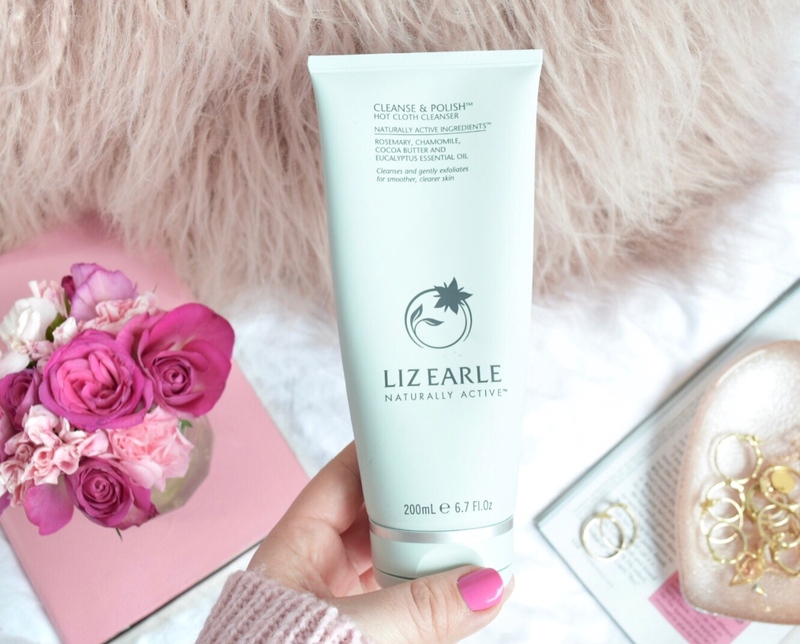 To remove my make up I use Liz Earle Cleanse + Polish Hot Cloth Cleanser. I blob a 10p sized amount onto my hand and work that into my face for 20 seconds. I then use a damp muslin cloth that I run under warm water to remove the cleanser. This gets rid of mascara, liquid liner, foundation...the lot! I can't believe I used to just use face wipes to remove my make up! I have never had any problems with this, even when I've had super sensitive patches on my face and around my eyes. It doesn't sting, it doesn't smell too strong and it removes all of my make up. I have tried some of the limited edition cleansers which smell beautifully but have sometimes stung on sensitive patches so just be careful. I may sometimes use my *Magnitone microfibre cloth which does an amazing job at removing make up by just using water. However, I wouldn't recommend using this cloth with a cleanser or face wash as it doesn't work as well. Just by running this cloth under warm water it gently helps to remove my mascara and get rid of face make-up. This would be a great purchase if you have sensitive skin and haven't found a product gentle enough to remove your make up. Sidenote: By choosing to use a microfibre cloth or muslin cloth instead of multiple face wipes or cotton pads you are helping to reduce landfill and are being more economically friendly. Winner! Every day for the past I don't know how many years I have jumped out the shower and spritzed this Liz Earle Instant Boost Skin Tonic on my face. 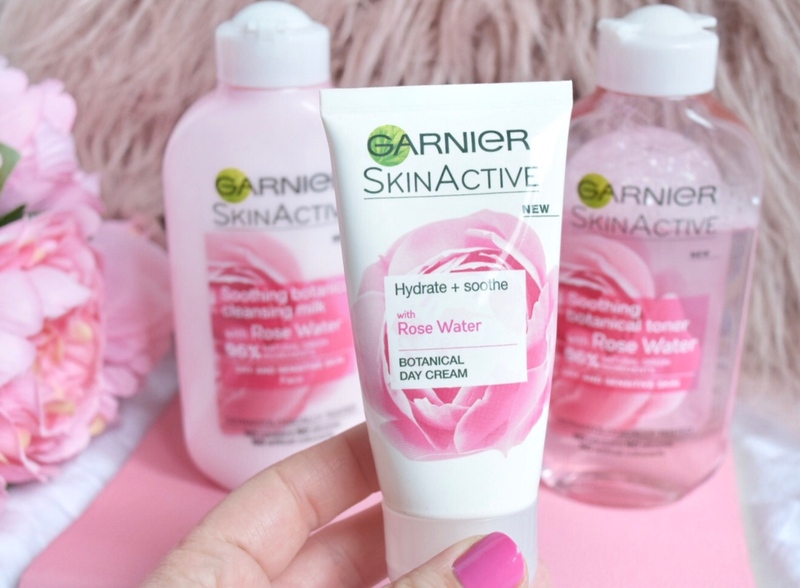 It is so refreshing and gives my dry skin that extra hydration it needs underneath my moisturiser. It contains natural ingredients such as aloe vera, chamomile and cucumber which are great for my sensitive skin and also lavender which is so calming and relaxing. You can buy this in a bottle and use a cotton pad to sweep it over the skin but I actually buy the spritz bottle which sprays a fine mist over my face. One product that I have currently ran out of is Pixi Glow Tonic. 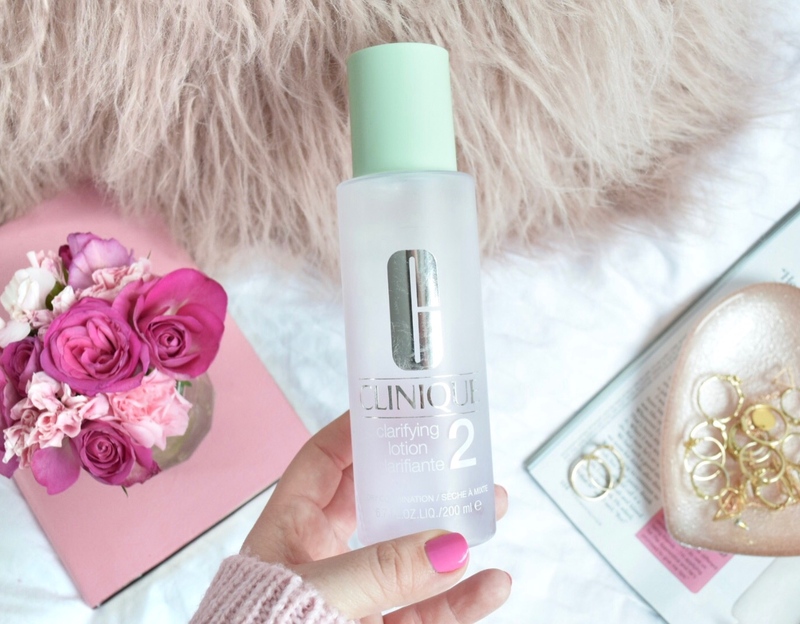 This was such a game changer, at first I didn't quite know what it was doing but I soon realised it was making my skin look so much brighter and glowy. It states that it is good for all skin types so I would definitely recommend getting the travel size first and giving it a go! I have used many different types of face moisturisers over the years, some have been prescribed by a Doctor and others I have just tested out to see if they work. These 2 I have been using for over a year and don't seem to cause my skin any issues. 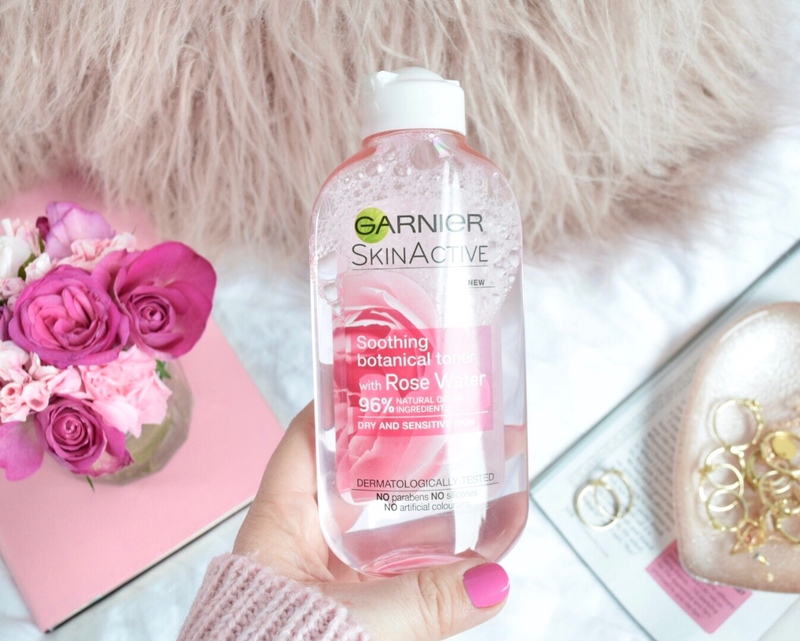 This *Garnier Rose Water moisturiser is for sensitive skin and claims to hydrate and sooth... it certainly does! I sunburnt my face on holiday last August and this was the only thing that calmed my skin and cooled it down, it was a dream! 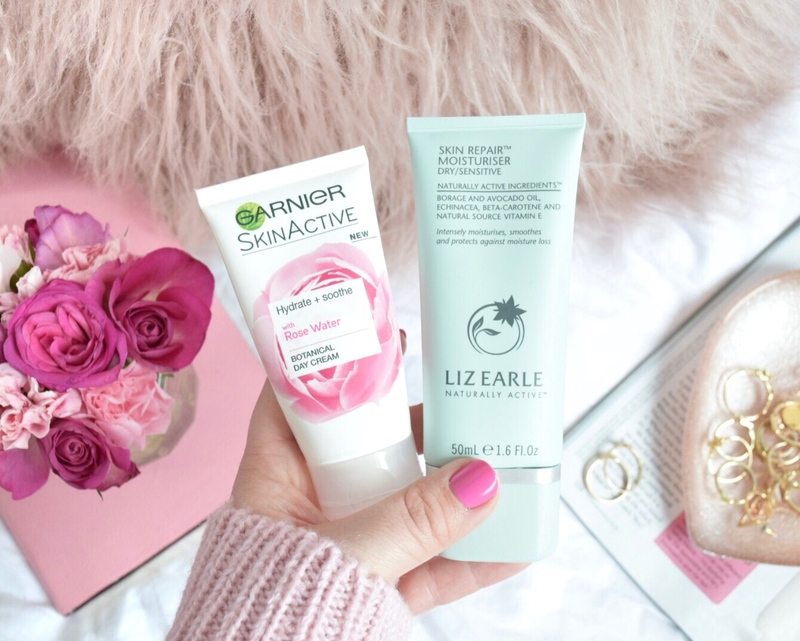 I also use Liz Earle Skin Repair moisturiser which is specifically for dry/sensitive skin but you can buy it for other skin types also. 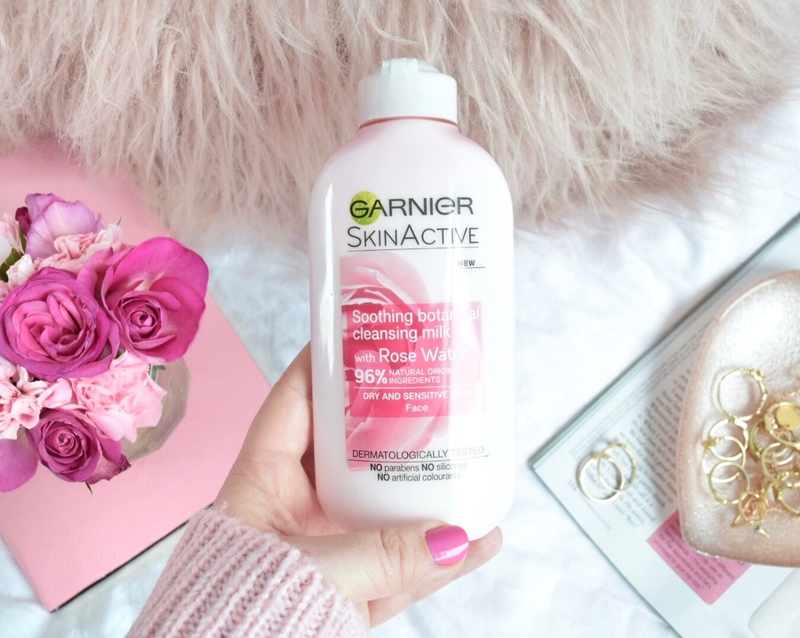 This is slightly thicker than the Garnier one so although I flick between the two, I would choose this one when my skin is slightly drier. Finally, I use a face oil most nights and my favourite one is Kukui from Miss Patisserie. My skin scars quite easily, so any tiny little spot or blemish I get hangs around for weeks and sometimes months. However, this oil contains rosehip oil which helps to reduce the appearance of scars. When I get up in the morning I really feel like this prevents me waking up to dry and dehydrated skin. 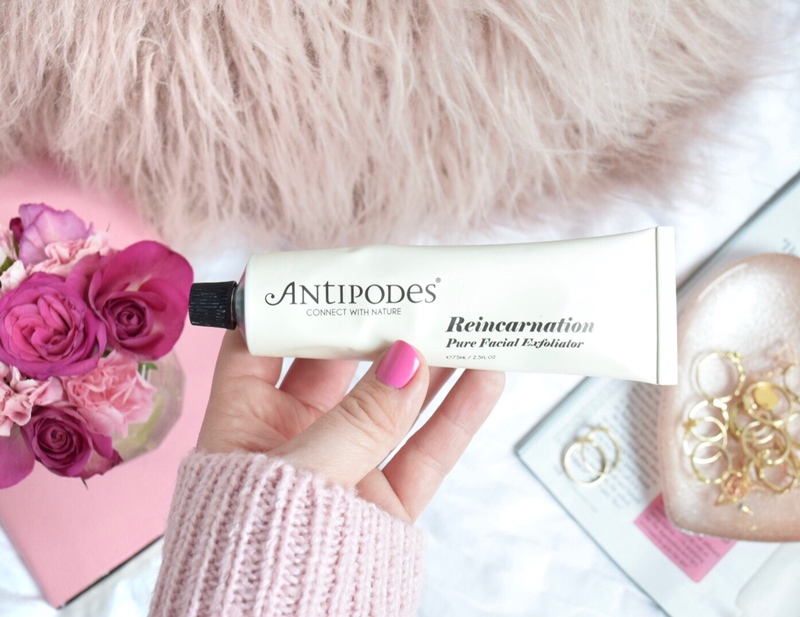 Every other day I use a very gentle exfoliator and I double cleanse using products from the lovely Antipodes. I don't use these products every day due to me being slightly lazy and also I don't want my skin to get too used to them. This *exfoliator is so gentle and smells incredible! It doesn't scratch at my skin yet it still buffs away any texture and helps to leave my skin feel fresh. 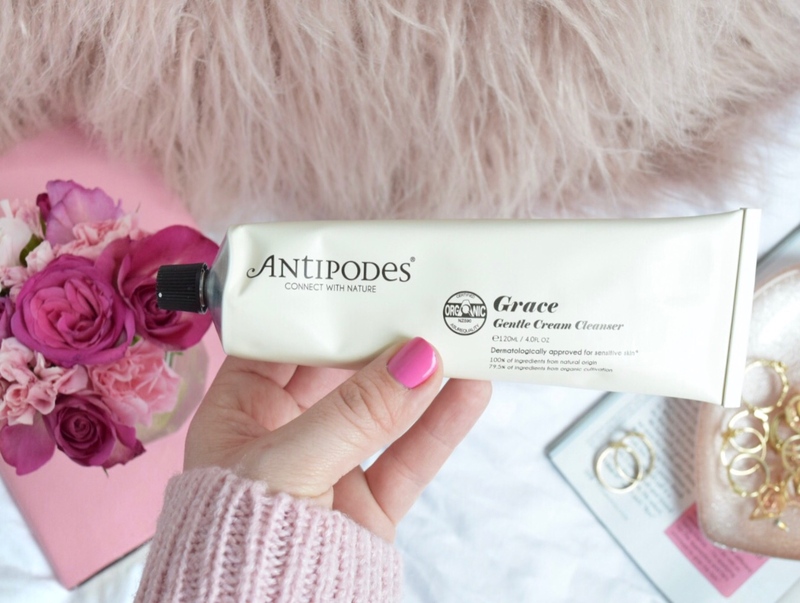 I then use my Antipodes *Gentle Cream Cleanser along with my *Magnitone Cleansing brush to get rid of any last bits of dirt or make up that maybe left on my face. The cleanser is super gentle and is perfect for sensitive skin. The cleansing brush has definitely been one of those products that has made me think "What did I do before I had this?!" It has made a huge difference to the appearance of my skin, especially around my chin as that is where I seem to get a lot of spots and bumps. I would 100% recommend getting a face brush, everyone who I have spoken to who has one says how much it has changed their skin! 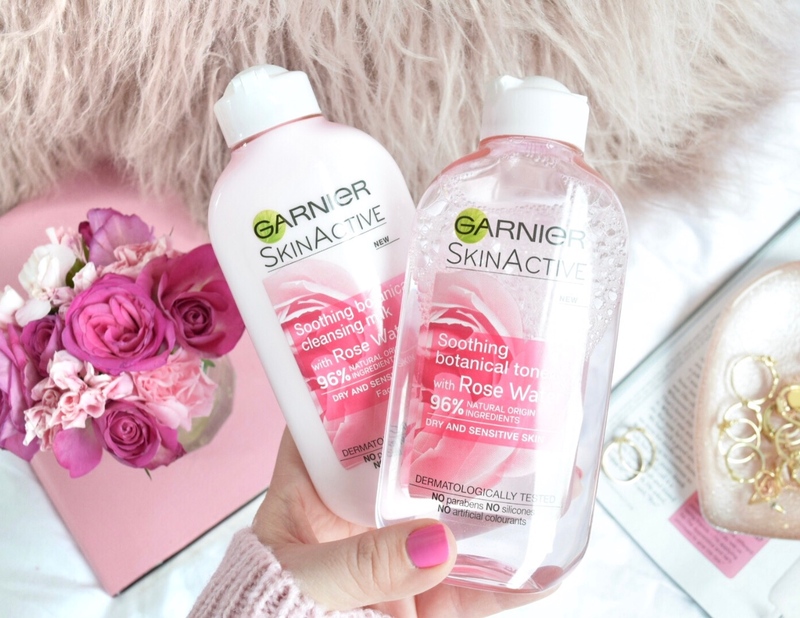 I also use these 2 products from the Garnier Rose Water collection as they are specific to sensitive skin. 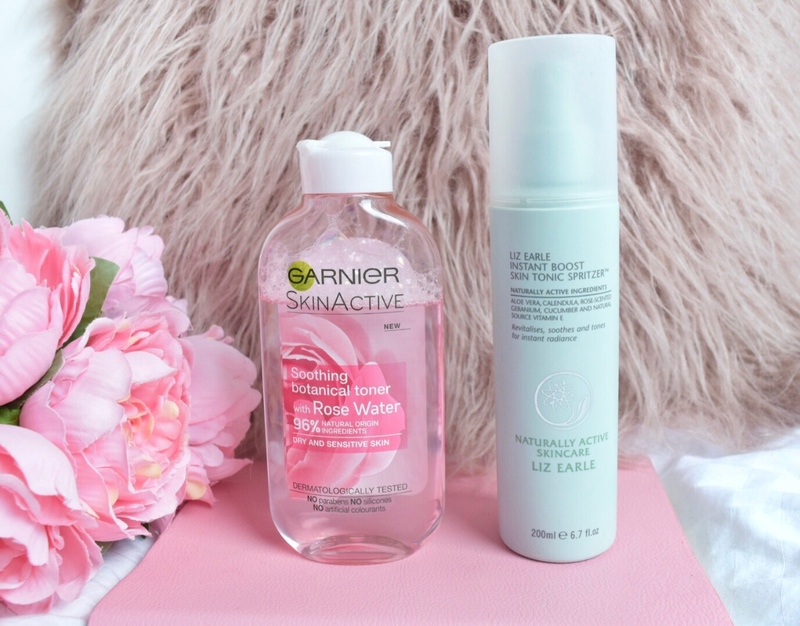 I apply a small amount of the *cleansing milk to one side of a cotton pad and wipe over my face after I have used my Cleanse + Polish and then on the other side of the cotton pad I splash a few drops of the very cooling *toner and and sweep that over my skin. These 2 together create a great, hydrated base for my make up. Now, for that certain time of the month or just when my skin feels like being oily I use Clinique Clarifying Lotion 2. I always joke and say it is like I am wiping vodka across my face because this stuff is strong! It says that it is suitable for combination skin and I would not advise it for dry skin. I use this a couple of times a month and only on certain areas of my skin that I feel have excess oil or moisture. As well as using all of these products I drink lots of water. I aim to drink 2 litres every day and I can see a huge difference in my skin and dryness of my lips when I haven't drunk enough. I actually like drinking water and find it quite easy to drink 2 litres but I know lots of people that find it difficult. If you find it difficult I would suggest getting a bottle that has times of the day on it (Or you could write them on yourself!) This allows you to keep track of how much you have drank and how much you have left. If you aim to drink more water than you are currently I bet you will notice a difference and feel the benefits in just 1 week! I hope that you have enjoyed this quite lengthy post, I have tried to add in as much detail as possible but all of the products are linked so you can read more about them on each website. 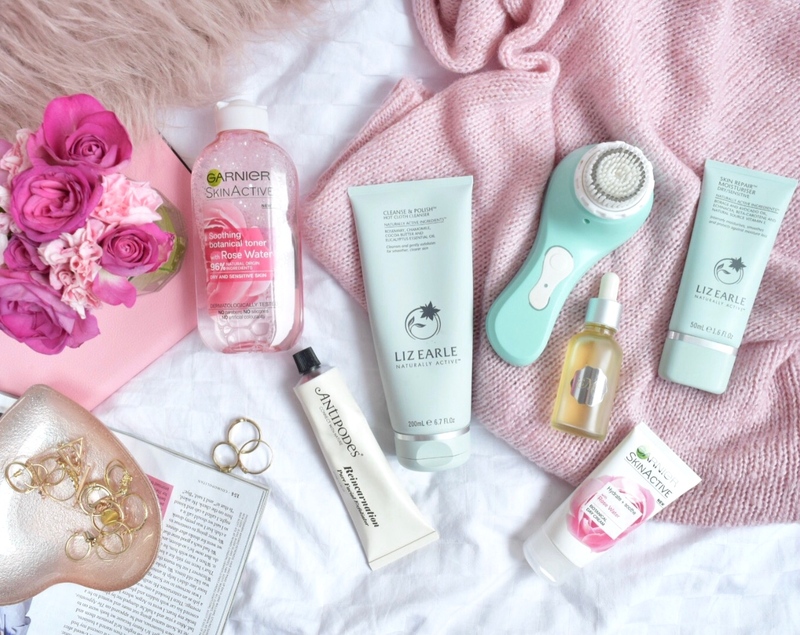 *Some of the products in this post have been sent to me for review purposes but as always all opinions are my own and 100% honest.